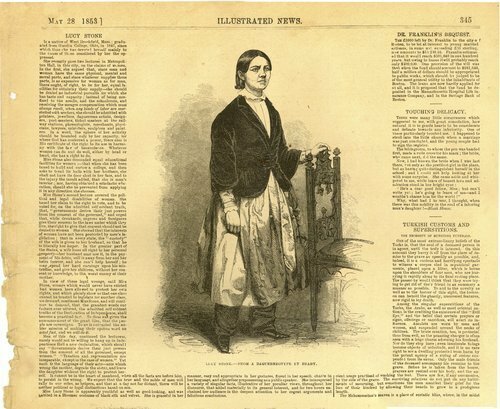 An engraving of Lucy Stone, one of the more noted and radical feminists, shown wearing bloomers. The engraving, which appears in the Illustrated News, May 28, 1853, was taken from a daguerreotype made by Mathew Brady. She journeyed to Kansas with her husband, Henry B. Blackwell, in April, 1867, to help launch the impartial-suffrage campaign.